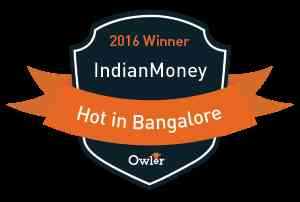 IndianMoney has been recognized as one among 93 businesses, to be honored with ‘2016 HOT in Bangalore’ conferred by Owler. Owler recognizes the top trending Companies in cities all over the World. Owler’s community in Bangalore (Now Bengaluru), features 5,100+ registered Bangalore companies. Owler chooses recipients for this award, based on number of followers on Owler, insights collected from the Owler community, social media followers and blog posts. Being HOT on Owler is something to be proud of. IndianMoney is extremely proud to be ‘2016 HOT in Bangalore’. IndianMoney.com, a part of Suvision Holdings Pvt Ltd is an 8-year-old start-up and is backed by Vertexperts Consulting (Bangalore) and Hyderabad Angels (Hyderabad). It has accomplished investors like Mr. Ravindra Krishnappa (founder of Erasmic Venture Fund) and Mr. Pradeep Mittal (former head of Magna Infotech's India operations) on its board of directors and, Mr. Shekhar Kirani (partner at Accel Partners) and Mr. Ramanand Baliga (Ex-IBM India Director) on its advisory panel. Started in 2008 by Mr. C S Sudheer, the vision of IndianMoney.com is to create a financially literate India by providing free consultation to anyone looking for an expert opinion on matters related to finance. 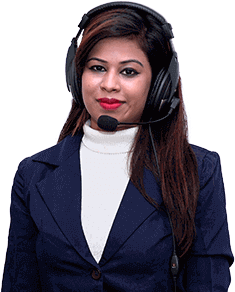 In the process, IndianMoney.com also provides this unique service of educating the consumers on how not to get cheated by unscrupulous agents while buying financial products.